Through our volunteer program, students entering 10th grade or above mentor other students while gaining valuable experience working as an assistant counselor and art teacher. Volunteers help with instruction, assist students with art projects and set up/clean up for classes and camps.They also have a chance to work under the guidance of experienced art professionals! 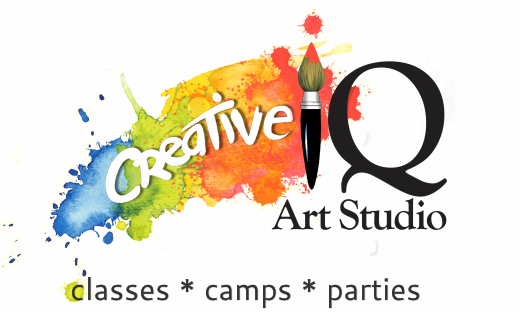 Arty teens and previous students of Creative IQ are encouraged to apply! Include your name, age, school and grade. Let us know what art experience you have and if you have taken classes with us before. Please include which mediums you have experience working in. Write one paragraph describing why you want to intern at Creative IQ and why you would be great at it. Which camp dates are you applying for? (Requests for multiple camps are welcome and encouraged. A full list of Winter, Spring and Summer Camps is available in our studio and online here. Please also EMAIL us photos of 4 examples of your artwork. Please include year made, the age you were when you made it and the medium for each art piece. Email it to: info@creativeiqsf.com with “Volunteer Internship Program” in the email subject line. Enter your current grade if applying for Fall, Winter & Spring Camps or the grade you will be going into if applying for Summer Camps. NOTE: Please also email photos of 4 examples of your artwork when submitting this application. Please include the year made, the age you were when you made it and the medium used for each art piece. ​Email to: info@creativeiqsf.com with “Volunteer Internship Program” in the email subject line.